This is a set of three nomadic, dual-locking 6" All-Terrain Wheels for the K-Pod tripod, from Kessler Crane. 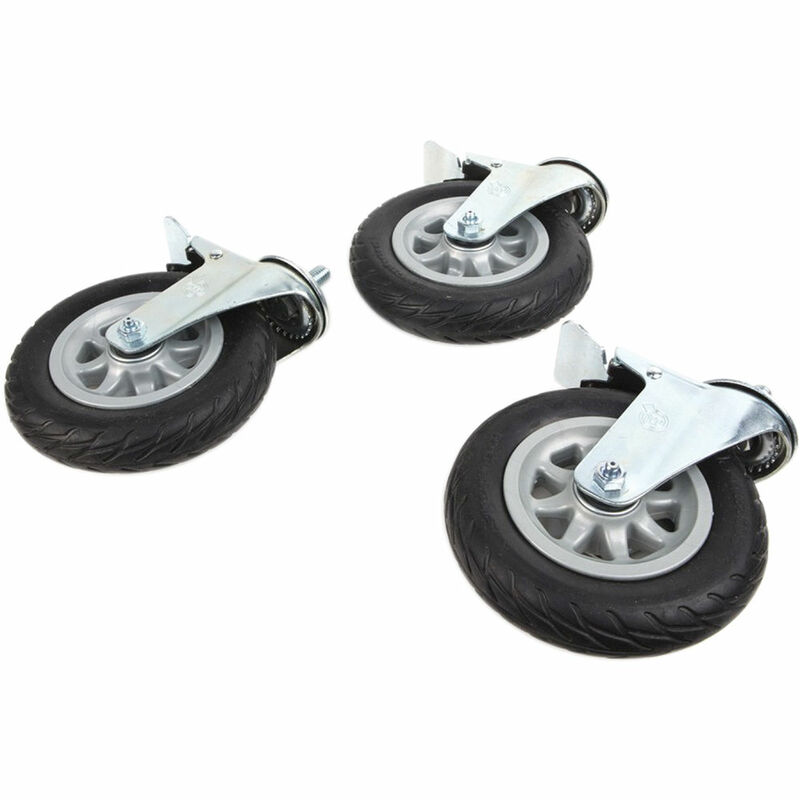 These wheels are for use on rough terrain, like gravel. Box Dimensions (LxWxH) 8.8 x 8.75 x 8.7"
6" All-Terrain Wheels for K-Pod is rated 5.0 out of 5 by 1. Rated 5 out of 5 by Baron from Way better than the small wheels I was using on my other jib Way better than the small wheels I was using on my other jib base. Handles the cracks in the concrete in a heavy industrial environment with ease. Are these wheels inflatable with air? Please reply if so what is the max pressure? These are not inflatable wheels. What is the maximum weight limit doe this set of wheels? These wheels have a weight capacity of 300 pounds.